Bulgarian heavyweight Kubrat Pulev defeated England’s Hughie Fury with an unanimous decision win at the Arena Armeec, Sofia, Bulgaria. The scorecard read 117-111, 118-110 and 115-113. Pulev (26-1, 13 KOs) now becomes the IBF mandatory challenger for Anthony Joshua. Joshua is due to fight in April 2019, time will tell if Pulev gets the chance to face the champion. It’s back to the drawing board for Fury (21-2, 11 KOs) who never really got going in the contest. Fury won the British title in May and may look to defend that title next. 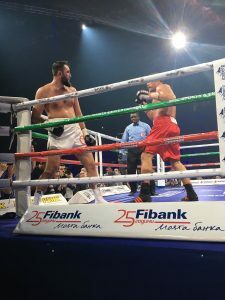 The first round was a feeling out round, with no major punches landing, the second round was much the same until Pulev landed a jab that cut Fury above the eye. Fury came charging out in the 3rd, looking as if he was trying to knock Pulev out, possibly concerned about the cut and being able to go the distance. The fourth would see Pulev be more aggressive. Throwing some big punches. As the fight moved into the middle rounds, it was turning out to be quite a scrappy affair. A lot of holding and pulling went on throughout the fight and wasn’t the most pleasing on the eye. In the 8th round, Fury landed a big right which made Pulev stumble, this was clearly Fury’s best round. However Pulev came out in the 9th and took back control. Pulev continued to be on top in the 10th. Fury was now looking tired as the fight moved into 11th, and in the 12th didn’t offer much, Pulev was looking fresh in the final round and it was clear who the winner would be. Pulev will now be looking to face Joshua for the IBF title in what would be his second world title fight, in what was his only loss against Wladimir Klitschko.